There will never be a shortage of tacos in San Antonio. You can’t fling a tortilla in this town without hitting a Mexican restaurant, and everyone has a favorite. Some restaurants specialize in the traditional dishes of Mexico, while others have perfected the blending of two cultures with their Tex-Mex menus. 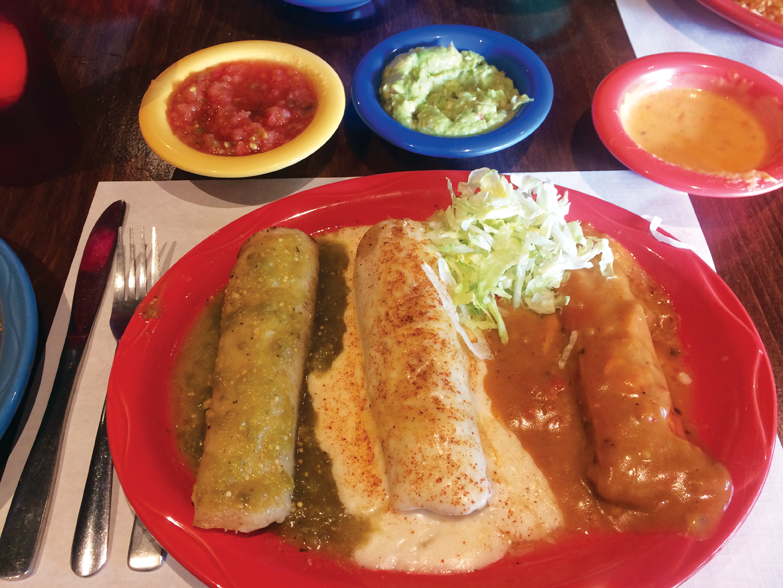 However, one local favorite has been satisfying the Mexican food cravings of diners for more than 50 years. La Fonda in Alamo Heights continues to be a local favorite and has become an institution in a neighborhood with discriminating tastes. Known for their “handmade enchiladas, sizzling fajitas and fresh ceviche,” La Fonda will please the Mexican food lover in all of us. The restaurant has recently relocated to the building behind the Magic Time Machine, just off Broadway near Loop 410, that used to house Raffles Restaurant and Bar. 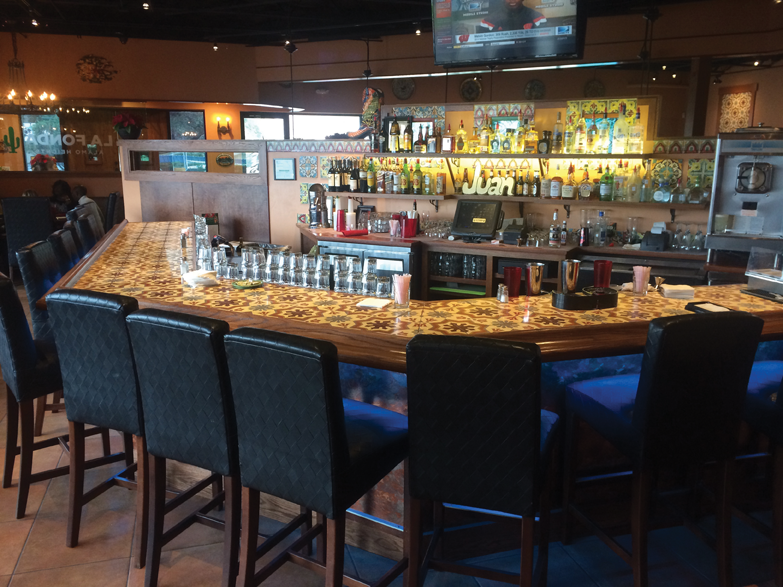 It has been transformed into a warm and inviting space with hand-painted Mexican tiles, rich colors and comfortable booths upholstered in beautiful fabrics. 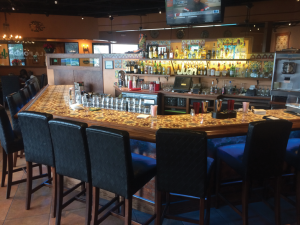 La Fonda also features an impressive bar in the center of the restaurant, along with a spacious patio, making it the perfect place to unwind after work or just to grab a margarita with friends before dinner. You’ll find the usual Tex-Mex fare at La Fonda, with a menu consisting of favorite dishes like their Steak de Antonio, which is a chicken-fried steak as big as a sombrero, and the Enchilada Fiesta plate, featuring a trio of their popular enchiladas, including a tomatillo green enchilada, a sour cream chicken enchilada and a traditional cheese enchilada. The food is fresh and delicious, and your basket of freshly made tortilla chips is served with a duo of salsas sure to please the spicier palates as well as wimps like me. The menu also features several seafood dishes worth exploring, like their Pescado de La Fonda and the Carizo Special, a spinach salad topped with grilled fish seasoned with their own fiery hot sauce. La Fonda operates three restaurant locations in San Antonio, but you’ll find the most regular dining guests at this Alamo Heights location. It’s a place for families to come together and for co-workers to escape the office at lunch. You’ll find La Fonda to be the perfect spot for an intimate dinner or even a large group event in their spacious banquet room. La Fonda also caters, bringing their great food and service to any event. 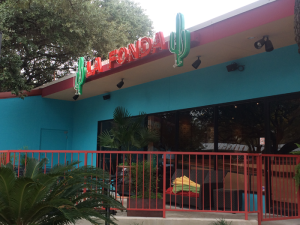 There are other Mexican restaurants that have been around longer and newer restaurants experimenting with Mexican ingredients and traditional flavors, but if you are looking for consistently good Tex-Mex cuisine, you’ll need to look no further than La Fonda Alamo Heights.